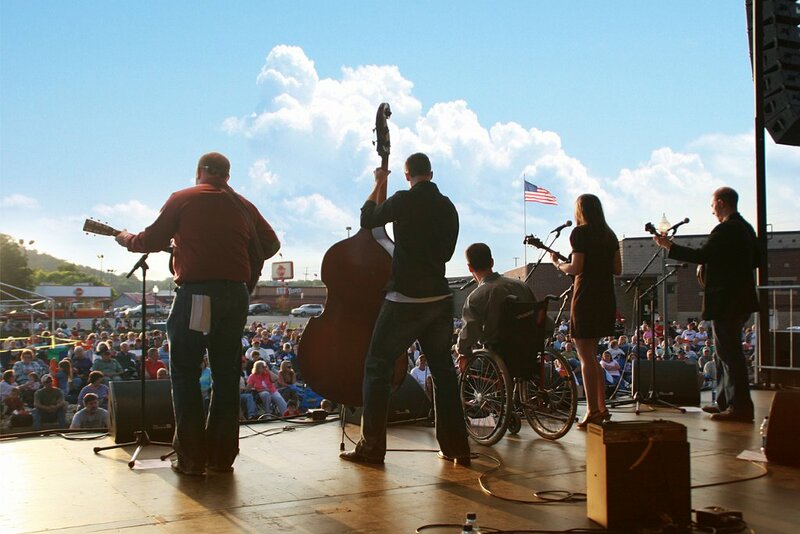 This weekend there’s a stupendous Barbeque and Bluegrass festival in Sevierville AND it’s Half-Price on all our remaining Cabins. Next weekend marks the start of another massive Barbeque & Bluegrass festival, at Dollywood, AND it’s Half-Price cabins again! Coincidence? Well, maybe, truth be told – but it works out perfectly for last-minute visitors coming in for either of these two great parties! 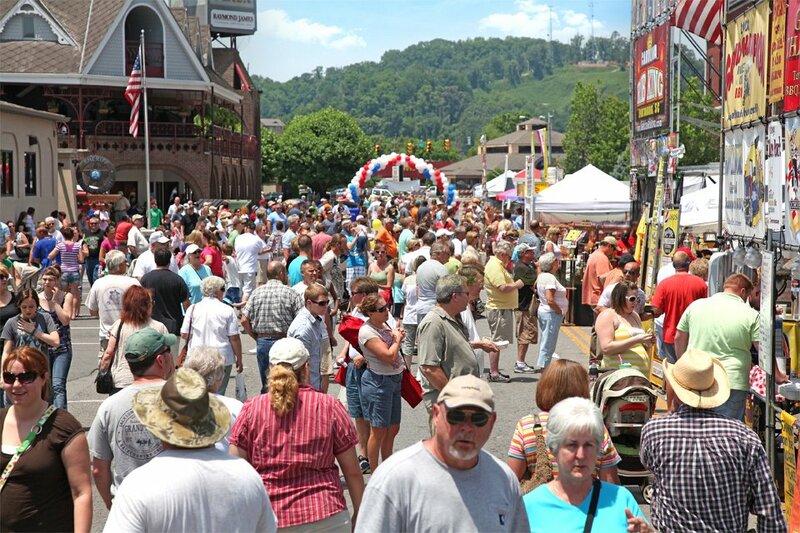 First up on May 15-16, 2015, is the 11th Annual Bloomin’ Barbeque & Bluegrass street festival in Sevierville, just minutes up the highway from Pigeon Forge and Gatlinburg. This is a super kid-friendly event and it’s FREE to attend, with free music concerts throughout the 2-day event. The Bloomin’ Barbeque & Bluegrass event not to be missed, a smash hit that draws almost 40,000 visitors. 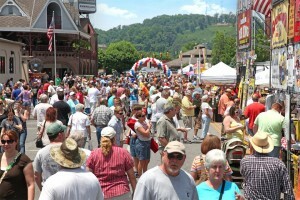 It’s Sevierville’s biggest event and the highlight of the town’s Smoky Mountain Springfest activities. The Southeast Tourism Society awards this event Festival of the Year status, and the Barbeque Cook-Off is an official State of Tennessee championship contest. 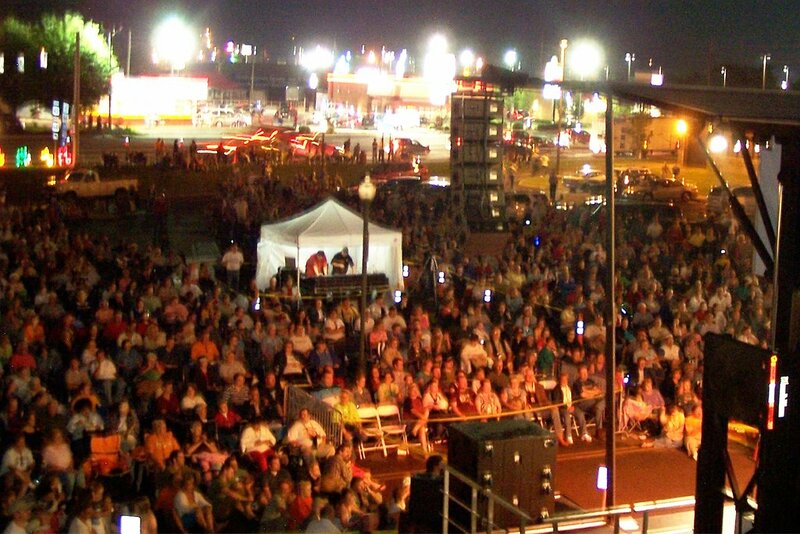 The fun starts on Friday evening, May 15 at 5 pm with music until 10 pm and is usually followed by a late night jam session – the town is filled with musicians not only for the entertainment but for the various competitions. There’s a lot of very strong local area talent that gives visiting national talent a fine run for their money, and the event is a big draw. 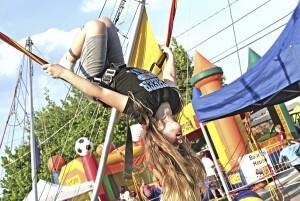 Saturday, May 16, is an all day event from 9 am to 10 pm. Highlights of the festival include, of course, the barbeque cook-off, with more than 50 teams competing for your satisfaction. 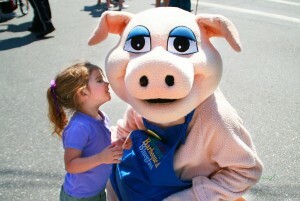 The air in downtown Sevierville will be filled with fabulous aromas, don’t even think about not being hungry! The kids are guaranteed fun all day at the festival, with their own Fun Zone including trampoline and bounce house, as well as musical hands-on opportunities, arts & crafts and even their own cook-off. There’s also a really friendly pig character wandering around that even grown-ups will want to hug, and the kids are all smiles. 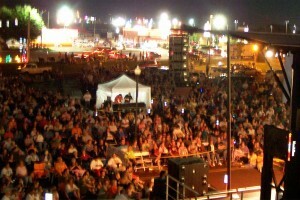 This year the town has added a production stage to the festival area, where you can watch live music videos being taped, as well as hear some of the latest offerings from local artists. One great feature of the festival is the Mountain Soul Vocal Competition, which features renditions of Dolly Parton songs – she’s penned over 3,000 songs, so the choice is pretty wide open! We’ll give you more news about the Dollywood festival soon, after we’ve recovered from this weekend! And those Half-Price cabins? Check our Specials page for details of all the last-minute offers, and to search for cabin availability. When in doubt – and even when you’re certain – always feel free to call us for advice and to book, at 955-91-SMOKY. Our phone lines are open 24/7, so you can always call back if they’re busy!